Dr. Ann Bisantz performs research in areas of cognitive engineering, human-computer interface design, complex work system analysis. She is currently Professor and Chair of Industrial and Systems Engineering at the University at Buffalo, State University of New York. Dr. Bisantz received a PhD in Industrial and Systems Engineering from the Georgia Institute of Technology and an MS and BS in Industrial Engineering from the University at Buffalo. Her research includes developing novel information displays for complex systems, advancing methods in cognitive engineering, and modeling human decision-making; she has worked extensively in domains of health care and defense. She has an active research program regarding visualization of information qualifiers such as uncertainty, trust in information, and decision making which has been funded through a number of defense organizations as well as through a CAREER award from the National Science Foundation. 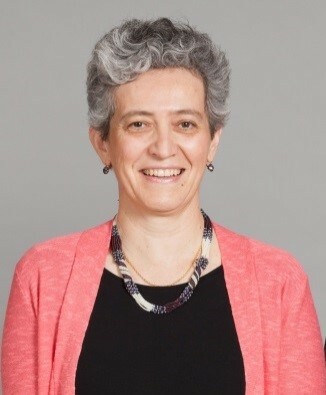 She is also collaborating with health informatics researchers and clinicians on research regarding health IT usability, workflow impacts and human factors of electronic health records and has conducted patient safety studies including risk analysis studies; and simulation and field studies of emergency department patient tracking systems. She has co-edited the books “Applications of Cognitive Work Analysis” (2008, CRC Press) and “Cognitive Systems Engineering in Health Care” (2015, CRC Press). She is a Fellow of the Human Factors and Ergonomics Society and Associate Editor of the Journal of Cognitive Engineering and Decision Making. Dr. Bisantz was appointed ISE department chair in 2012. 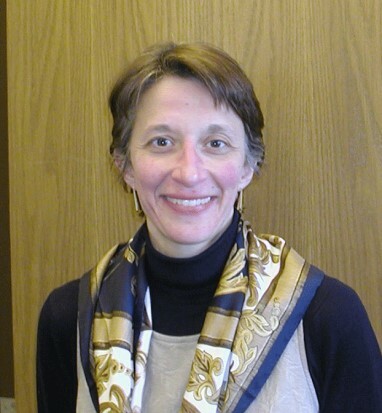 Pascale Carayon is Procter & Gamble Bascom Professor in Total Quality in the Department of Industrial and Systems Engineering and the Director of the Center for Quality and Productivity Improvement (CQPI) at the University of Wisconsin-Madison. She received her Engineer diploma from the Ecole Centrale de Paris, France, in 1984 and her Ph.D. in Industrial Engineering from the University of Wisconsin-Madison in 1988. Her research belongs to the discipline of human factors engineering, in particular macroergonomics. Her scholarly contributions aimed at modeling, assessing and improving work systems (i.e. the system of tasks performed by individuals using various technologies in a physical and organizational environment) in order to improve system performance and worker well-being. She has developed human factors and systems engineering methods and the SEIPS model to improve patient safety and health information technologies in complex healthcare settings. Her research has been funded by the Agency for Healthcare Research and Quality, the National Science Foundation, NIH, NIOSH, the Department of Defense, various foundations and private industry. 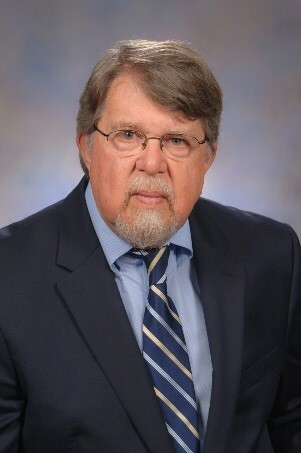 Dr. Carayon leads the Systems Engineering Initiative for Patient Safety (SEIPS) at the University of Wisconsin-Madison (http://cqpi.engr.wisc.edu/seips_home). She is the Co-Editor-in-Chief for Applied Ergonomics, and a member of the editorial board of the Journal of Patient Safety. She is a Fellow of the Human Factors and Ergonomics Society and a Fellow of the International Ergonomics Association where she received the 2012 Triennial Distinguished Service Award. Dr. Carayon is the editor of the Handbook of Human Factors and Ergonomics in Health Care and Patient Safety, a member of the National Research Council Board on Human-Systems Integration, and the IOM Committee on Diagnostic Error in Healthcare. She has been recognized as one of the 50 experts leading the field of patient safety in 2015 by the Becker’s Hospital Review. Rollin J “Terry” Fairbanks, MD MS FACEP is the Associate Director of the MedStar Institute for Innovation (MI2) where he is responsible for innovation in safety and innovation in learning, with oversight of National Center for Human Factors in Healthcare and MedStar SiTEL, MedStar Health’s learning technology infrastructure. 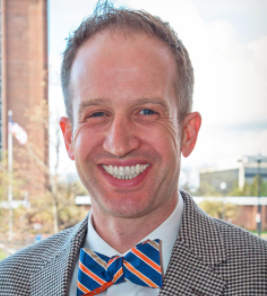 Dr. Fairbanks is Associate Professor of Emergency Medicine at Georgetown University and Adjunct Associate Professor of Industrial Systems Engineering at the University at Buffalo. He practices emergency medicine at the MedStar Washington Hospital Center. Dr. Fairbanks serves on the National Patient Safety Foundation Board of Advisors, Emergency Medicine Patient Safety Foundation Board of Directors, and is a Health Research and Educational Trust (HRET) Senior Fellow, and POLITICO Health IT Advisory Forum. Dr. Fairbanks is a 2008 graduate of the HRET/NPSF Patient Safety Leadership Fellowship and is known for inspiring people to think differently about patient safety. Dr. Fairbanks’ work has been published in more than 100 journal articles, book chapters, and proceedings papers in human factors engineering and medical literature. Dr. Fairbanks flew as a private pilot for ten years, and often relates his experience in aviation safety to his work in healthcare safety. Dr. Gosbee is a Human Factors Engineering (HFE) and Healthcare Specialist providing expertise to design of healthcare devices, software, and architecture. His clients include large medical device companies (e.g., Medtronic), healthcare delivery organizations (e.g., Northwestern University), professional societies (e.g., AMA), federal government (e.g., FDA), and other countries (e.g., Sweden). 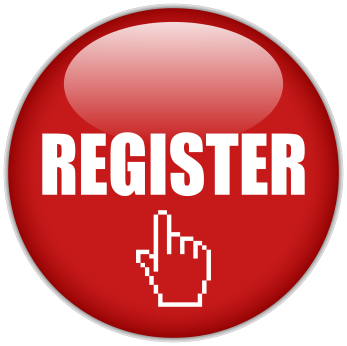 He assists with integration of human factors engineering into product development process, as well as HFE program development, including personnel selection, test bed design, FDA mock survey, and user-centered style guide creation. Dr Gosbee also works to develop and implement human factors engineering and patient safety ideas in academia at the University of Michigan Health System (UMHS) and elsewhere. He leads the patient safety certification effort for all incoming UMHS residents He has been visiting professor or given grand rounds at several prestigious medical schools (e.g. Yale, Penn), and advisory panel member or consultant to several patient safety programs (e.g., Johns Hopkins, American Heart Association, World Health Organization). Among other publications and recognition, Dr. Gosbee was guest editor for a 2004 series on patient safety and human factors engineering for Joint Commission Journal on Quality and Safety. In 2005, he edited and was major contributor for the book, Using Human Factors Engineering to Improve Patient Safety. He received the “Cheers Award” for advancing medical device design in medication safety from the Institute for Safe Medication Practice (2005); and “Career Achievement Award” in medical device design from the Association for the Advancement of Medical Instrumentation (2002). Dr Gosbee most recently worked at the U.S. Department of Veterans Affairs (VA) National Center for Patient Safety in Ann Arbor, MI (1999-2006). He led the development of patient safety and human factors engineering residency and medical school curriculum. He led the human factors engineering analysis of adverse events and close calls involving medical devices and software, including being the liaison to companies to rectify design issues. Prior to VA, Dr. Gosbee was Assistant Professor at Michigan State University College of Human Medicine (1992-9), was HFE consultant to several Fortune 500 medical device and software companies (1994-9), and worked at NASA on development of space-based medical facilities (1988-92). 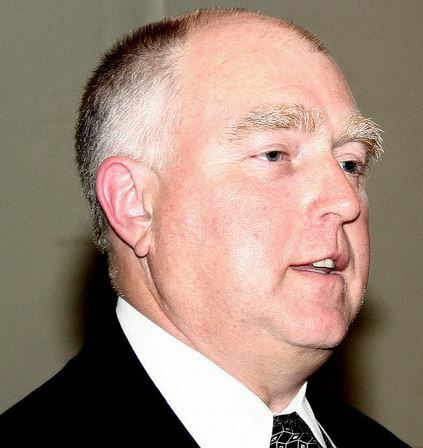 He received his medical degree at University of Wisconsin in 1985, and masters degree training in aerospace medicine and human factors engineering at Wright State University in 1988. 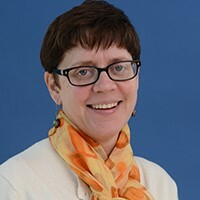 Ann Schoofs Hundt is the Associate Director of Education and a research scientist at the Center for Quality and Productivity Improvement (CQPI) at the University of Wisconsin-Madison. She received her undergraduate degree in Medical Record Administration from Viterbo University in 1980. After functioning in various capacities at the University of Wisconsin Hospital and Clinics, she entered to graduate school at the University of Wisconsin-Madison, receiving her PhD in Industrial Engineering in 1995. Her research interests incorporate systems and human factors engineering, quality and safety in health care using qualitative research methods. With colleagues, she developed a collaborative usability evaluation model that integrates participatory ergonomics, usability evaluation and proactive risk assessment (Hundt et al, 2017). 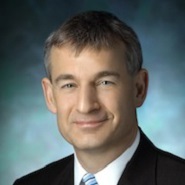 Dr. Hundt has been involved with the Systems Engineering Initiative for Patient Safety (SEIPS) since its inception in 2001, and been an investigator on a number of AHRQ-funded patient safety research projects including a current project on clinical decision support for both diagnosis and prevention of venous thromboembolism. She is also associated with and funded by the UW Medical School NIH-funded Institute for Clinical and Translational Research, Community Academic Partnership program. 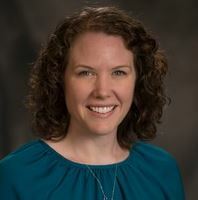 Dr. Sarah Parker is the Director of Human Factors Research at Carilion Clinic, an Assistant Professor in the Virginia Tech Carilion Research Institute, and the Department of Biomedical Science in the Virginia Tech Carilion School of Medicine. She has over 10 years of experience applying human factors and industrial/organizational psychology principles to healthcare. Sarah Parker received her BA in psychology from Wittenberg University in Springfield OH and her MA in human factors and applied cognition from George Mason University in Fairfax VA. Prior to pursuing her PhD, she worked at Mayo Clinic applying human factors principles to various inpatient quality and safety challenges. She worked specifically with the Division of Cardiac Surgery as a human factors researcher, developing multiple safety interventions specifically designed for the cardiac OR. She then pursued her PhD at University of Aberdeen in Scotland, developing and validating the Surgeons’ Leadership Inventory, a behavioral marker tool to investigate leadership in the intraoperative setting. She was a Ruth L. Kirschstein Post Doctoral Fellow, funded by the Agency for Healthcare Research and Quality, focusing on team coordination during trauma resuscitation. She is currently working on multiple projects focused on utilizing innovative measurement techniques in situ and in simulation funded by the Robert Wood Johnson Foundation, the Agency for Healthcare Research and Quality, the State of Washington and Carilion Clinic. Dr. Parker’s research interests include team performance and communication in high risk settings, applying innovative methods to better understand human performance, medical education on patient safety, and human factors applications within healthcare. She has presented at numerous national and international conference and published over 50 peer reviewed articles and book chapters on human factors and patient safety. Most importantly, Dr. Parker and her husband Michael are parents of Layla, a 3 year old who loves singing. Shawna J. Perry, MD is an Associate Professor of Emergency Medicine at University of Florida Health Science Center in Jacksonville, FL and an Honorary Associate Professor at the University of Wisconsin-Madison, College of Engineering, Center for Quality & Productivity Improvement. She is also president and founder of Perry & Company, a healthcare advisory group. She has spent the last 6 years as the Director for Patient Safety System Engineering at Virginia Commonwealth University Health Systems in Richmond, VA and Associate Professor/Associate Chair for the Department of Emergency Medicine. 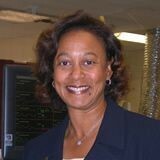 For 12 years, she was Director of Clinical Operations, Chief of Service and Associate Chair of Emergency Medicine at University of Florida Health Sciences Center in Jacksonville, FL where she provided leadership and management for numerous departmental, hospital and university-based initiatives from large scale coordination of clinical work, to the implementation of new information technology (IT) systems into the clinical setting. Since 1996, Dr. Perry’s primary research interest has been in patient safety, with a particular interest in human factors and ergonomics, the nature of system failures, transitions in care, the impact of IT upon clinical care, and organizational behavior and teamwork. She is widely published on topics related to patient safety, human factors and ergonomics, naturalistic decision-making, communications and emergency medicine. Dr. Rayo’s research focuses on using computational and representational data transformations to design cognitive tools meant to improve overall system resilience over the widest possible range of expected and unexpected conditions. The goal of Dr. Rayo’s lab is to deepen our understanding of multi-agent teamwork and to translate these findings into technology attributes that improve human-machine teamwork. His work is focused on the design of threshold alarms, decision-support technologies, and human-machine teams in healthcare, military, transportation, and power generation settings. Dr. A. Joy Rivera, PhD, is the Human Factors Systems Engineer on the Knowledge and Systems Architect (KSA) team at Children’s Hospital of Wisconsin (CHW) in Milwaukee, WI. She obtained her BS, MS, and PhD in Industrial and Systems Engineering at the University of Wisconsin-Madison under the mentorship of the late Dr. Ben-Tzion Karsh. Dr. Rivera’s expertise is in human factors engineering and socio-technical systems theory as applied to the domain of healthcare to improve the quality of care, and increase patient and employee safety. Her specific interests from both an operational and research perspective lie in understanding how healthcare professionals interact with one another to communicate, make decisions, work as teams, problem solve, and recover from system failures such as poorly designed technology. 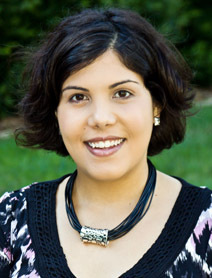 In particular, Dr. Rivera’s research on way healthcare providers communicate with one another via interruptions (either face-to-face or mediated through technology) has provided a unique framing of the problem space and new directions for interruption researchers to design interventions which are more compatible with healthcare delivery workflows. At CHW, with her team, Dr. Rivera provides strategic and integrative consultation services to large system projects, provides tactical guidance on technology purchasing, implementation, and acceptance of use, teaches human factors and systems engineering principles and methods to medical faculty, residents, fellows, nurses, management, etc., leads Proactive Risk Assessments, conducts research, and collaborates with information technology vendors to improve the usability of their systems. Mary Sesto is an associate professor in the Department of Orthopedics and Rehabilitation at the University of Wisconsin-Madison. She holds affiliate appointments in the Departments of Biomedical Engineering and Industrial and Systems Engineering. She is also the Director of Research at the Trace Center. She received a B.S. in Physical Therapy, and a M.S. and Ph.D. in Industrial Engineering-Human Factors from the University of Wisconsin. Her research interests include evaluation, design and implementation of information technology and decision support systems to improve care coordination, quality of care, and health outcomes of patients with chronic health conditions. Dr Wears is an emergency physician, Professor of Emergency Medicine at the University of Florida, and Visiting Professor in the Clinical Safety Research Unit at Imperial College London. His further training includes a Master’s in computer science, a 1 year research sabbatical focused on psychology and human factors in safety at Imperial, followed by a PhD in industrial safety from Mines ParisTech (Ecole Nationale Supérieure des Mines de Paris). He serves on the board of directors of the Emergency Medicine Patient Safety Foundation, and multiple editorial boards, including Annals of Emergency Medicine, Human Factors and Ergonomics, the Journal of Patient Safety, and the International Journal of Risk and Safety in Medicine. He has co-edited three books, Patient Safety in Emergency Medicine, Resilient Health Care, and Resilience in Everyday Clinical Work, is finishing a third. Together with Prof Kathleen Sutcliffe, he currently completing a book on the evolution of patient safety as a social movement, funded by the Robert Wood Johnson Foundation’s Investigator Award. His research interests include technical work studies, resilience engineering, and patient safety as a social movement. His research papers and commentaries have appeared in JAMA, Annals of Emergency Medicine, Safety Science, BMJ Quality & Safety, Cognition Technology & Work, Applied Ergonomics, and Reliability Engineering & Safety Science. Mr. Wreathall is a specialist in systems-engineering methods with an emphasis on human and organizational performance as it relates to safety, reliability and quality. He has pioneered the development and application of human-performance analysis methods, both quantitative and qualitative, for application in the medical, transportation, nuclear, and aerospace communities. He has participated in the development of the understanding of human errors and the circumstances that lead to their occurrence, including chairing and presenting at international conferences on this subject sponsored by NATO, the World Bank, the US Nuclear Regulatory Commission, and the International Atomic Energy Agency. In healthcare, Mr. Wreathall has performed two complete probabilistic risk assessments (PRAs): these assessed the risks to patients from inadvertent incompatible blood-type thoracic transplants and the comparable risks form using physical vs. electronic “white board” data systems in a large dynamic ED. Both analyses involved completion of full-scope modeling using specialist software and extensive data collection from clinical settings and use of expert assessments by clinical staff. In addition, Mr. Wreathall has acted as an advisor to several hospital systems in the introduction of resilience related methods into the patient care setting, including: Dana-Farber Hospital, Catholic Healthcare System of Ohio, and Shands/UoF Hospital, Jacksonville, FL. He was also a member of the Technical Advisory Panel for the National Quality Forum’s Committee to develop taxonomies for reporting human errors in healthcare.